Astarte Moon Inspirations a life closer to nature's rhythms : Supermoon times 2014 July August September. Supermoon meditation. What is a Supermoon? How will the Supermoon affect me? Supermoon times 2014 July August September. Supermoon meditation. What is a Supermoon? How will the Supermoon affect me? What are the times for the next Supermoon? I just thought I would do a very quick post as we have woken up to very rainy weather here in England and it looks as though it is set in throughout tomorrow too. So just to remind you that the next Supermoon in August is going to be closer than Saturday's and then we still have one to follow in September. I just thought I would draw up a quick table to remind ourselves of the times of the full super moon for July August and September. 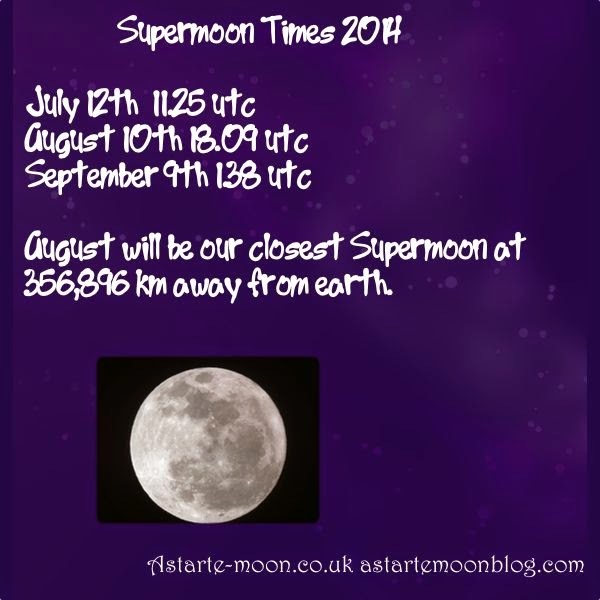 What is the Supermoon time July 2014 for my time zone? I've included some useful links to previous posts I've written for explanations about general Supermoon information. Can I still enjoy the super moon if it is cloudy? Remember the moon stays approximately full for about three days so although she reaches fullness about midday tomorrow, Saturday we still have quite a while to enjoy her fullness even if there are cloudy skies on Saturday night. Even if there are cloudy skies and we cannot see her we can still feel the amazing energy. How close is the July Super Moon? 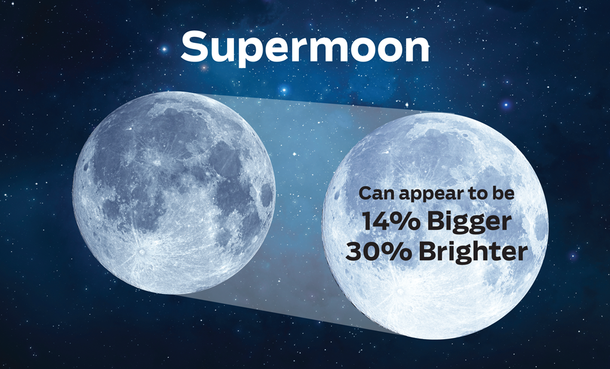 Does the Supermoon really look bigger? Why does the supermoon affect me? How will the supermoon affect me? I have often made some wonderful moon water on fabulous stormy nights. It has been filled with incredible moon energy even though the light of the moon hasn't been able to shine on it, her energy has been all around and has been absorbed by the water. I have used the water made on nights like that for situations that I feel really need that boost of stormy strong energy! So if you can't see the super moon just stand somewhere where you can feel the direction her rays will be coming from, preferably bare footed on the earth. Imagine her wonderful super moon energy beaming down on you and filling you with that wonderful silvery light. Your feel are rooted deep into the ground and your crown chakra is open to receiving her amazing love. Stand meditating in the darkness of the night for as long as you need to. Remember that feeling and draw upon it as often as you need to at times during the month when you feel under stress or pressure. 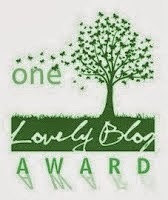 Remember the feeling of your feet firmly rooted to the ground whilst your spirit soars as high as it wants to. It is a feeling you can always come back to, it is always there when you need it. Enjoy the amazing super moon energy that is building at the moment. How is it affecting you? Personally I do struggle with it a little, the moon energy always gives me a migraine and that is building at the moment but trying to rise above it!